Premium, woven, rustic, boasting such character! 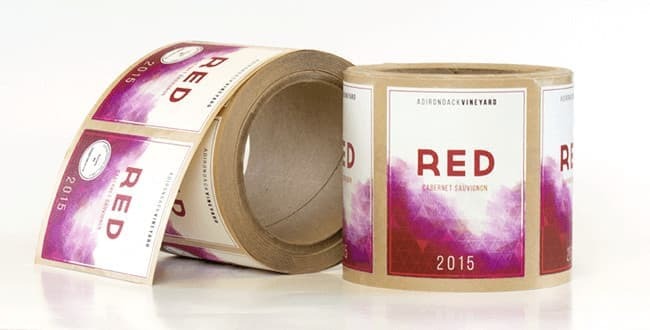 The estate #9 label material has a beautiful cream appearance and is specifically engineered for wine bottles, beer bottles and spirits packaging. Estate #9 has ideal wet strength, meaning that it will hold up and not tear or wither off if partially submerged in ice. Being that it possesses wet strength characteristics, feel confident that if your beautiful champagne bottle or premium bottle of wine is resting in a bucket of ice to stay chilled, that it’s gorgeous label (and your branding!) will not suffer. Colors printed on the estate #9 material will blow your mind! Enjoy vibrant, highly saturated printing on this material every time.